If you’re looking for unique frozen wine drink recipes for your end of summer cookout, how about trying these Frozen Wine Cocktails. For these summer wine cocktails, I like using Arbor Mist wines since they’re inexpensive and light. With so many flavors like Blackberry Merlot, Raspberry Pink Moscato, or one of the margarita varieties, there’s a flavor to please everyone. Arbor Mist frozen wine cocktails go well with anything you’re serving, be it barbecue, burgers, coleslaw or cake! You’ll love these easy wine cocktails for parties! I decided to take the fun, fruity flavors of Arbor Mist and give you some ideas on serving up my Frozen Wine Cocktail Slushies. 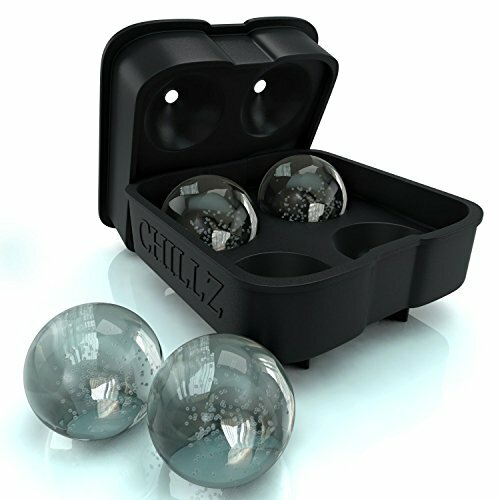 They’re perfect for when you want something to cool down with, and you want to go “lite” with your drinking. 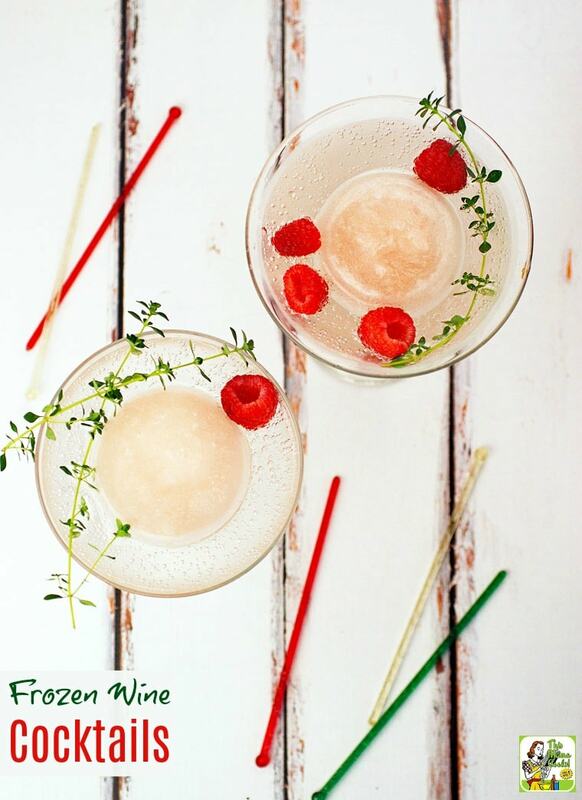 Just take Arbor Mist, freeze it in ice cube trays, blend it with regular ice cubes for a “grown up slushy.” This frozen blender drink has all the flavor, a bit less calories, and more fun than drinking a glass of wine. Since you can’t drink these too quickly without getting the dreaded brain freeze, it may prevent you from overindulging. 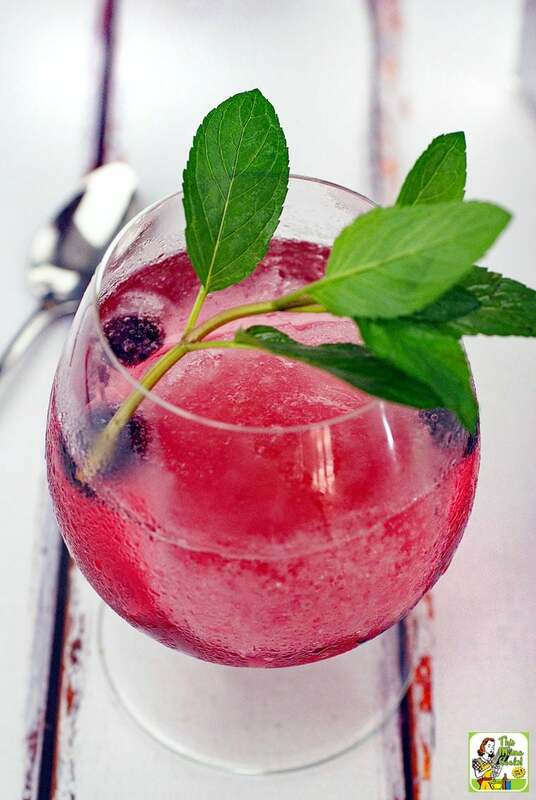 I also added some blueberries and raspberries to the layers of these Arbor Mist frozen wine cocktails to inspire you for upcoming Labor Day parties when you may want some red, white and blue cocktails. 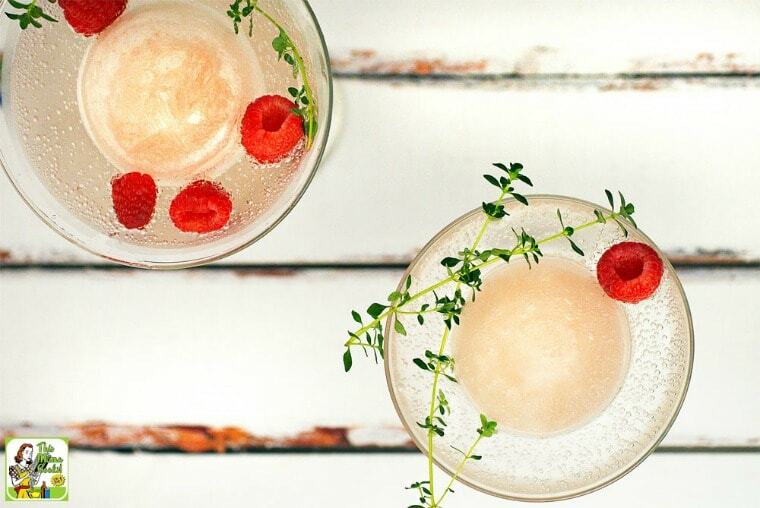 The fun thing about these Frozen Wine Cocktail Slushies is that you can prepare the Arbor Mist ice cubes ahead of time along with your garnishes. Then during the party, just get the frozen blender drinks going at the bar (or in the kitchen) and make these “to order.” An alternative is to make up a tray and have them ready in the freezer to present for your guests at intervals during the party. The layered Frozen Wine Cocktail Slushies can be eaten like ice cream parfaits. Or you can wait until they melt a bit and sip them through a straw. Pair them with Healthy Baked Plantain Chips or your favorite goodies from the grill. If you’re like me, I’m always trying to find ways to still enjoy myself while incorporating “better for you” ingredients in my party plans. That’s why when I entertain, I make sure to offer up healthier side dishes like salads and roasted on the grill vegetables. It’s the same with drinks. One way I can indulge safely in a lower calorie way is to make a Skinny Frozen Wine Cocktail. It’s a fun version of a wine spritzer. 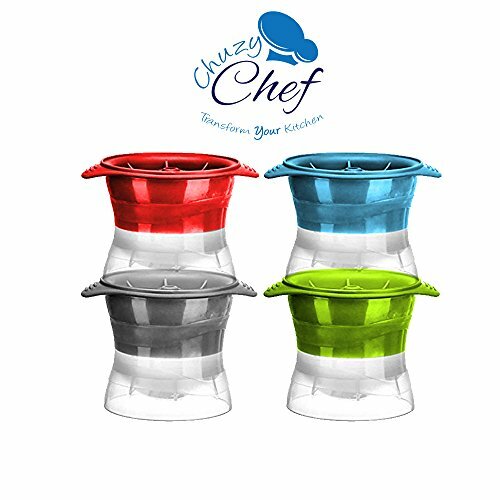 Just freeze some wine in an ice ball maker mold and then plunk it in a margarita glass of flavored seltzer water along with a garnish of some berries and a sprig of something from your herb garden. The wine ball slowly melts into the seltzer. It helps you avoid the calories and boozy affects of a full glass of wine. And it’s elegant, refreshing, and delish! I like to freeze up a batch of wine balls to keep on hand for guests or a party. Keep the frozen wine balls in a Ziplock freezer bag until it’s time to make up a batch of Skinny Frozen Wine Cocktails! Variations on wine cocktails recipes are endless! 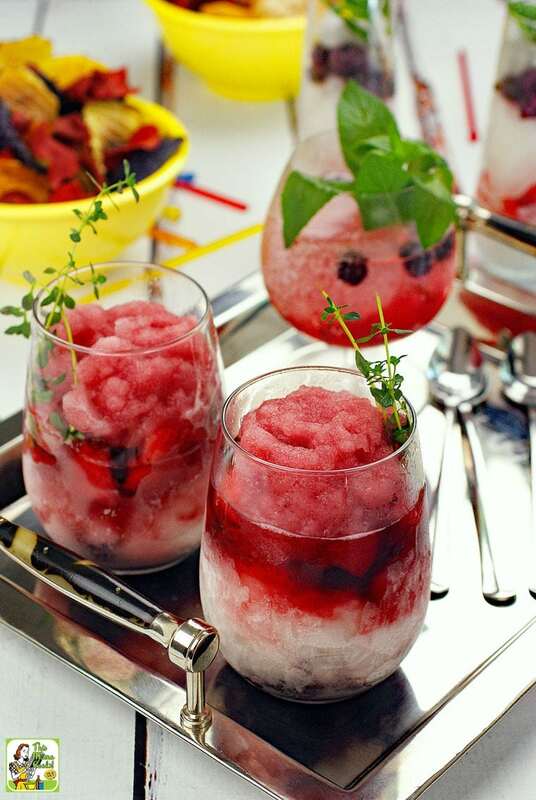 I’m sure you can come up with several variations of frozen wine cocktails using your favorite Arbor Mist wine flavor, different types of berries, and some fun fruit and herb garnishes. 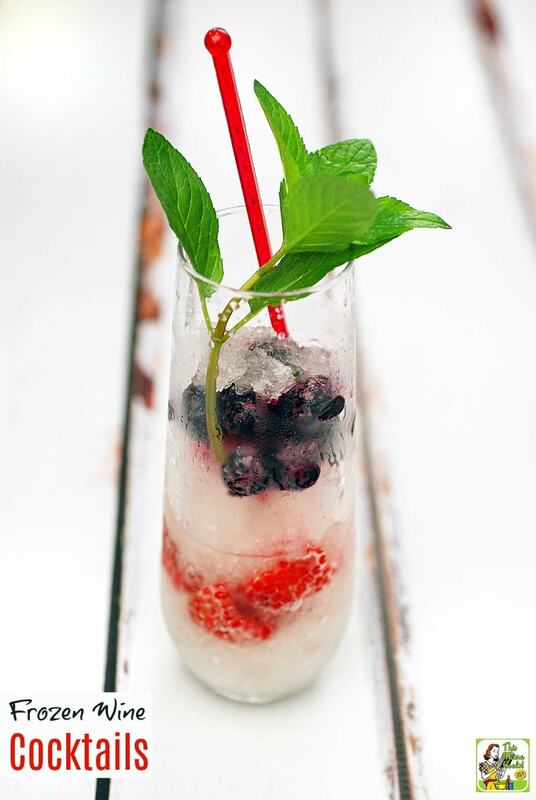 Let your party guests make their own combinations of slushy, skinny seltzer, berries, and garnish – the possibilities are endless! What flavor Arbor Mist would you use in your frozen wine cocktails? Freeze Arbor Mist in ice cube trays. Depending on the number of party guests expected, you may want to freeze several bottles of wine. You may want to freeze several varieties of wine, too, to give your guests more choices! Once cubes are frozen, place wine cubes in ziplock freezer bags. Label bags with name of Arbor Mist wine used. To make the Wine Chiller Slushies, combine 2/3 Arbor Mist wine cubes to 1/3 ice cubes in a blender. Blend on high until smooth. Spoon wine slushies into tall cocktail glasses. Layer with berries. Serve immediately with a garnish of thyme or mint and a tall spoon. 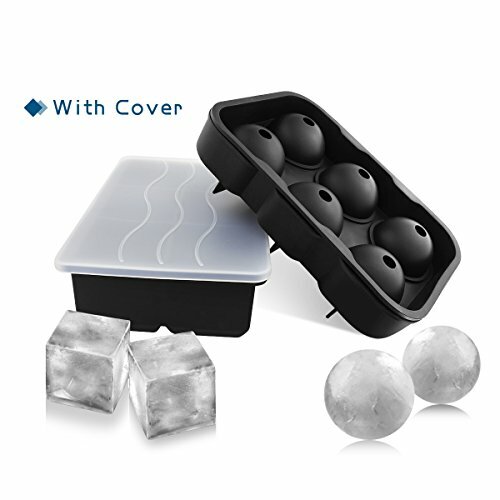 Freeze Arbor Mist in an ice ball maker or large ice cube molds. (Or 3 ounce Dixie cups.) Depending on the number of party guests expected, you may want to freeze several bottles worth of wine. You may want to freeze several varieties of wine, too, to give your guests more choices! Once cubes are frozen, place wine cubes in ziplock freezer bags. Label bags with name of Arbor Mist wine used. Add the flavored seltzer. (Pour next to not over the ice cube. That way it will last longer.) Serve immediately with herb and berry garnish. Refresh with additional seltzer. Originally published on May 27, 2015. Updated with new pictures and information. Previous post You’ll Love How Easy This Grilled Chicken Panini Sandwich Is to Make!